We saw a big crowd. Curiosity kicked in and we walk to the crowd. We saw a group of ladies all in pink. We saw a group of people all looking at the pink ladies. 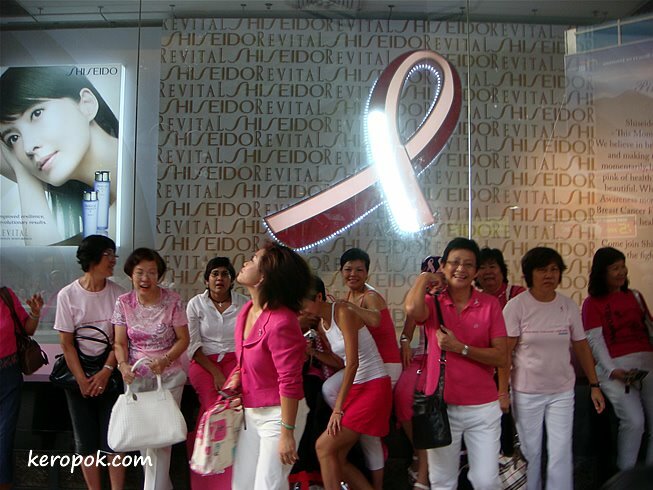 We found out, they are from the Pink Ribbon Movement.